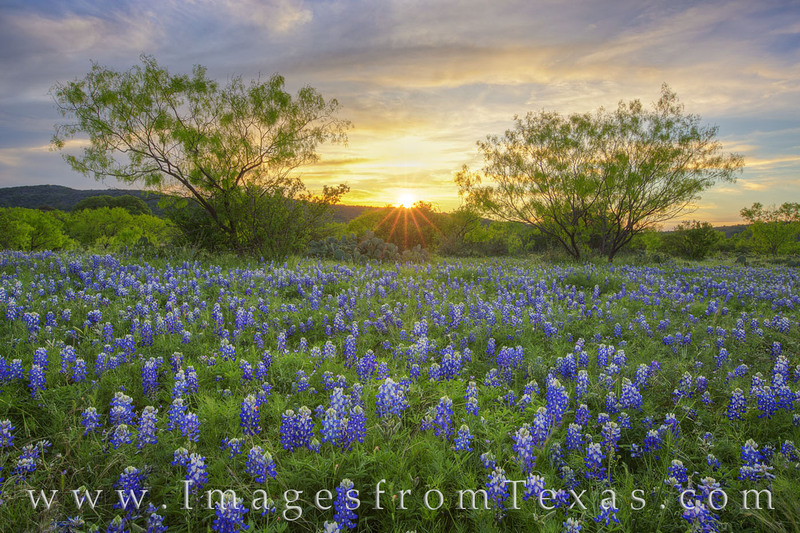 At the end of a full day of scouting and shooting bluebonnets in the Hill Country, I ended up at this small patch of Texas’ favorite wildflower as the sun was taking a last peek through the clouds. Taken between Marble Falls and Llano off of a dirt road, the bluebonnets were still and there was just enough color in the sky to make it worth a few extra minutes. Photo © copyright by Rob Greebon.